Atlas is pleased to announce Julien Gobin has been promoted to Assistant General Manager. Gobin most recently served as Manager of Atlas and offers a wealth of experience working within the hospitality industry. A native of France, prior to joining the Atlas team, Julien served as Assistant General Manager at Brio Tuscan Grill and has successfully helped lead teams in Hungary, South Carolina and Georgia. 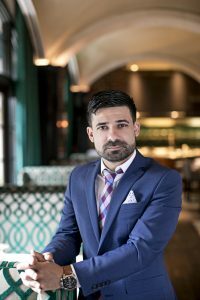 As Atlas’ Assistant General Manager, Gobin aims to exceed guest expectations while offering unparalleled culinary service and unforgettable dining and imbibing experiences. 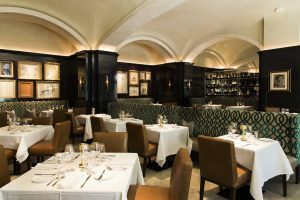 Located within the St. Regis Atlanta, Atlas celebrates the very best in seasonal American cuisine combined with European influences created by Executive Chef Christopher Grossman. Guests can revel in a fine dining experience in the dining room or take advantage of The Tavern featuring chef-driven small plates menu and hand-shaken cocktails. With a focus on curating fresh ingredients from local farms, this chef-driven restaurant brings unparalleled culinary experiences to the capital of the South. Atlas also recently welcomed back its acclaimed art installation featuring 30 pieces from esteemed artists including Foujita, Monet, Chagall, Modigliani and Soutine. The restaurant’s impressive gallery of 20th century artwork is from The Lewis Collection. For more information, visit atlasrestaurant.com. In addition, stay connected on Facebook, Instagram & Twitter at @AtlasBuckhead.